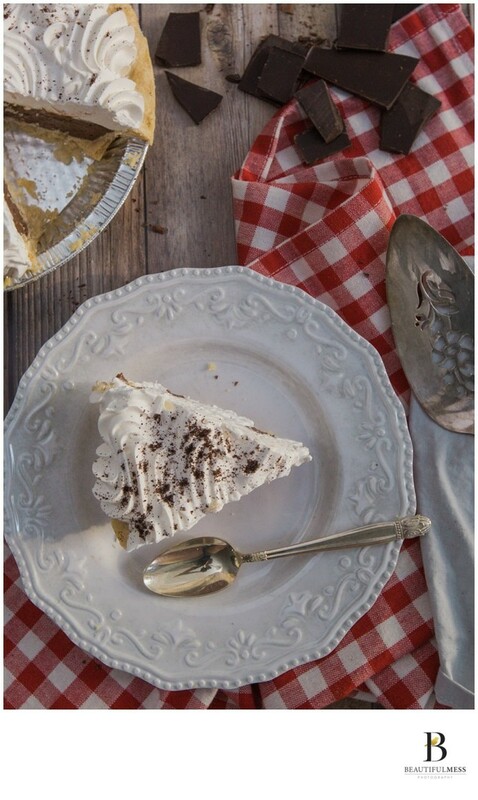 Chocolate cream pie set on an antique white plate surrounded by a red gingham through. Image shot in natural light at the Beautiful Mess Photography studios in St. Louis, MO. Location: 7227 Moller Ave Maplewood MO.